Samantha Merrick’s second year of college started with heartbreak and betrayal. She’d completely given up on finding love again when a chance encounter brings her face to face with the man who would change her life. 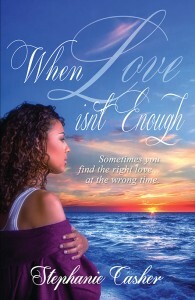 Tony Carteris never believed in love at first sight – until he laid eyes on Samantha. But within moments of meeting her, he knew she was the woman he was put on this earth to love. There was only one problem – Angela, his girlfriend of five years. Relationships are complicated, and no one knows that better than Samantha Merrick. The first two times she played the game of love, she lost. Big. She was ready to retire when a shot at love appeared in the most unexpected place. Damion Waters never meant to fall for Samantha. But once it was done, he was done. Haunted by a love he can never have, Damion accepts a postdoctoral fellowship in London to put some distance between himself and his best friend’s girl. Set against a European landscape, Samantha and Damion attempt to heal old wounds while struggling with forbidden desires. But is it possible to outrun the past, or is the past destined to catch up to you?